Antibiotic - a serious medicine, but is releasedcounter virtually all pharmacies. Doctors have repeatedly tried to take steps to tighten sales of antimicrobial agents, but today any antibiotic and can be bought over the counter without a medical recommendation. 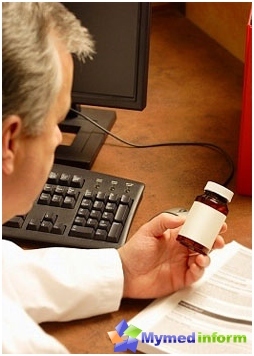 In this article we will discuss the main challenges and mistakes when taking antibiotics. Drugs are different: there are dangerous narcotic drugs, vacation which is produced in pharmacies is not just a prescription, but only by a certified special round stamp documents; there are safe Vitaminka that require little or no precautions. But what place among the variety of therapeutic agents take antibiotics? Antibiotic - a serious medicine, but is releasedcounter virtually all pharmacies. Doctors have repeatedly tried to fight it, to take any measures to tighten sales of antimicrobial agents, but today the situation has not changed any antibiotic can be bought over the counter without a medical recommendation. But even leave the recipe does not guarantee the correct application of the drug. In this article we will discuss the main challenges and antibiotic mistakes. Do I need an antibiotic in this particular situationthis particular patient - even a difficult question to competent expert. Independently same answer it the patient can not do. It is unlikely that you are able to assess the severity of their condition, to hear whether there wheezing in the lungs and what they character decipher analyzes and make appropriate conclusions. Hence, the most important conclusion: Antibiotics should be prescribed by a doctor! prevention. Yes, indeed, there are some specialdefined cases, when you need to take antibiotics to prevent possible serious diseases, such as especially dangerous infections: cholera, anthrax; and justified their use before surgery. There is also a special category of people who need prophylactic antimicrobials, for example, people with immunodeficiency. But it is for the average healthy person to take antibiotics for the common cold, to prevent, for example, genyantritis - It's like to shoot out of a cannon on the wheel. 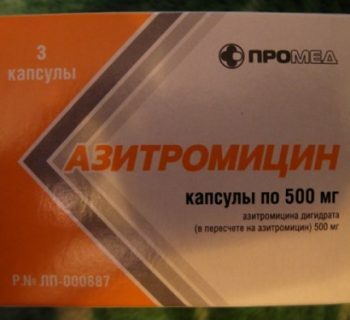 Selection of a suitable drug -also the problem DOCTOR. After all, in order to pick up the antimicrobial agent, it is necessary to represent what the bacteria most often cause the disease, and which antibiotics effectively act on these bacteria. Of course, it is best to know exactly what the pathogendisease and its sensitivity to different groups of drugs. To do this, the patient must pass a special microbiological analysis, for example, sputum, or discharge from the wound. But the definition of a microbe - a rather lengthy process, it takes about 7-10 days. Neither the doctor nor the patient may not have to wait so long, so the doctor prescribes an antibiotic like "random", guided by theoretical knowledge and clinical disease. 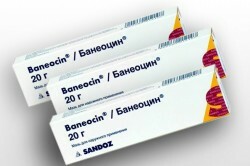 For each diagnosis, there are drugs firstline, which usually begins treatment (for example, for sinusitis is amoxiclav), alternative drugs (they are used if the patient has a drug intolerance of the first row and their inefficiency) and reserve antibiotics for the treatment of difficult and not giving in cases of therapy. I do not recommend buying the most readers MirSovetovexpensive antibiotic (even if you do and have money on it). Prices inflated just to spare, reserve drugs to be used in exceptional cases. The dose of an antibiotic is also assigned a doctor. And for the patient it is very important to accurately observe the assigned dosage of any medicine. In no case do not reduce the dose of medication ifyou feel better. Antibiotic - a tool that operates on the principle "all or nothing". If you take it in the right dosage, the drug kills bacteria. But if the drug concentration in the blood reaches the relevant indicators - the bacteria will not be killed, they just "get acquainted" with the drug and will develop resistance to it. In such "trained" bacteria that the antibiotic no longer will work even in sufficient dosage. Treatment of inadequate doses of antibiotics - a major cause of reducing the effectiveness of these drugs worldwide. On the other hand, the excess of the dose is fraught with an increased load on the liver, kidneys, and the danger to the natural microflora. Each drug is assigned to a specificfrequency:.. 1, 2, 3 times a day, etc. Multiplicity receiving antibiotic depends on its lifetime in the body. For example, those medicines that are assigned three times a day, are in about 8 hours, and then output via the liver or kidneys. Therefore if the drug appointed three-time, it means that it should be taken strictly by 8 hours instead of just 3 times a day at any time. What if you forget to take a pill? It is necessary to drink the medicine as soon as possible, but if left to the next receiving quite a bit of time, do not need to take two portions of the drug at the same time. 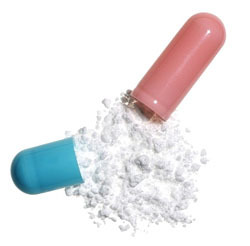 It does not help to make up for lost time, but a double dose could be toxic to the body. The course of antibiotic treatment is rarely shorter than 7-10days (with the exception of some medications, such as azithromycin, which may be administered for 3-6 days under the special scheme). But only few conscientious patients continue to receive the medicines he felt improvement. I think: the temperature slept, feeling great, "Why poison the organism?". It's a delusion. The antibiotic is able to kill the bug, butThis requires not only the optimal concentration of the drug, but long enough. If the patient voluntarily cancel the medicine as soon as he felt better - there is the same as that at lower doses, "aspiring" microbe just "get acquainted" with the drug and develop resistance to it. In addition, incomplete treatment can lead to complications or infection becomes chronic. At the same time, after 2-3 days when the medication will not become better - possible drug has no effect on your microbe. It is necessary to re-apply to the doctor, so that he appointed another agent. Why do some drugs can be consumed afterfood, before eating the other, and the third - at any time? The fact that some drugs are associated with food (thus losing its activity) and not others. Medications same, which can not be taken on an empty stomach, often damage the gastric mucosa. Whatever food you can take amoxicillin, cephalosporins, and virtually all of some macrolides (spiramycin, clarithromycin, josamycin). After 2 hours after a meal or 1 hour before it - that is, on an empty stomach - is necessary to take other macrolides (other than those listed above), ampicillin. 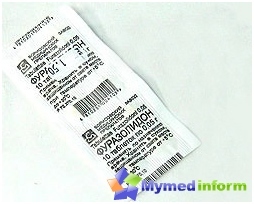 The tablets or suspension of cefuroxime need to drink during meals, as this speeds up the absorption of the drug. 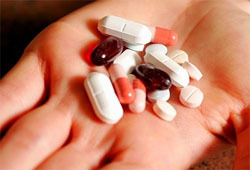 Some medications (furazolidon) Can not be combined with beans, smoked foods, beer,cheeses and wine. Therefore, be sure to carefully read the instructions to the drug. Alcohol is not recommended during treatment with any antibiotic, but it is especially dangerous for erythromycin, isoniazid, metronidazole, cycloserine, furazolidone. In general, the food should be as light and sound, avoid receiving preservatives. Wash down with antibiotics is necessary to water - preferably a full glass. What more can not be done by taking antibiotics? If you are treated tetracyclines, you can not sunbathe and go to the solarium, not only during treatment, but two weeks after its completion. Antacids and adsorbents (smectite, Activated carbon, Almagel, etc.) reduce the activity of antibiotics, so take them at the same time is not recommended. Penicillin, tetracycline and rifampicin reduce the effectiveness of oral contraceptives, so you need to think about alternative protection methods. Joint medication, blood thinners (aspirin and analogs thereof) and the antibiotics penicillin and cephalosporin series increases the risk of bleeding. What is important to tell the doctor? at the same time you are being treated with any other medications.